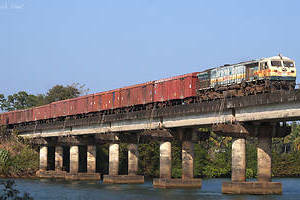 Loaded BCNHL goods train heading south..
19260 Bhavanagar - Kochuveli express cruising towards Mangalore. 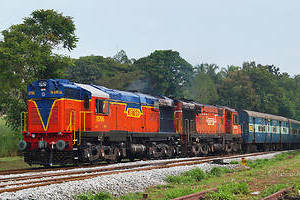 EMD GT46MAC / imported UBL WDG4 12006 with Empty Freight Train..
19260 Bhavanar-Kochuveli Express rushing towards Udupi..
KJM WDP4/20023 with 16516 Karwar-Bangalore triweekly express. 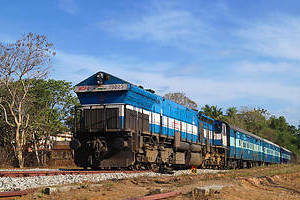 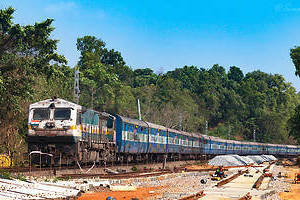 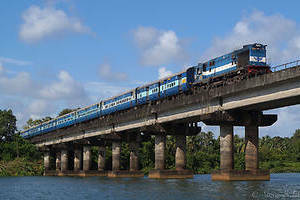 Gooty ALCOs with 12619 Matsyagandha Express entering Udupi.. 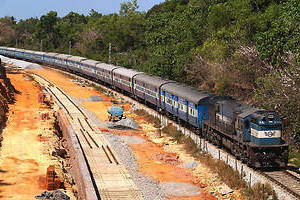 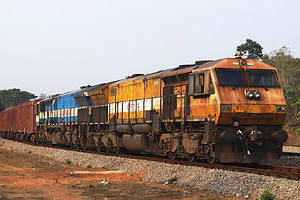 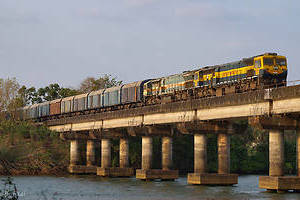 Empty freight train with Pune WDG4..